10 Self-Care Tips for Teachers! Teaching can be such a rewarding profession, but it’s also HARD. We are responsible for so much—from lesson plans, to carpool duty, to student growth, to keeping up with our professional development, to making sure that Johnny goes home on the right bus—it’s a lot! Taking care of yourself is SO essential to surviving and thriving as a teacher! 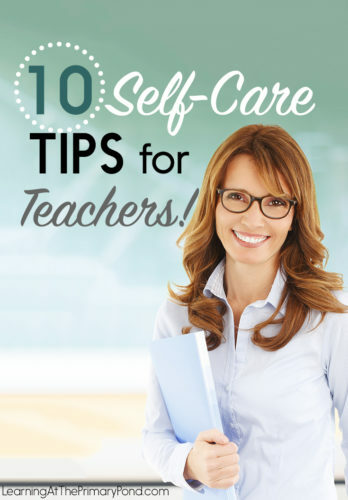 In this post, I’m going to share 10 self-care tips for teachers. Five of them come from me, and five of them come from your wonderful ideas on my Facebook page! Schedule time for something YOU want to do, and put it on your calendar each week like you would any appointment! Whether it’s a game of tennis with a friend, an hour to read a novel, or something else—get it on your calendar and treat it like an appointment that can’t be broken! That seems to be the only way that I actually follow through with taking time for myself! Pay attention to the hours/times of day when you get the most done. Be super productive during that time, and try to avoid working when you’re not at your best. I’m a morning person, so I do well working before school. I’m mostly useless in the afternoon, though, so I call it quits shortly after the kiddos are gone—or I take a break before attempting to get something done! Look at your to-do list with a critical eye and ask, “Is this something I really NEED to do?” I love making to-do lists, but sometimes I find myself adding things that would be nice to do, but that are not essential. I always want to give the best to my students, but sometimes I have to cross off certain projects or activities if I find that they require tons of prep that I just don’t have time for. Always remember that a happy teacher = happy students!! Taking care of yourself is NOT selfish! First of all, you deserve to be happy. And second of all, I know for SURE that when I’m feeling happy, I bring that attitude with me into the classroom, and my students benefit. Everyone wins when you take care of yourself! And Five Tips From You! Here are five more tips, courtesy of the wonderful teachers who follow my Facebook page! “Monthly pedicures, plenty of sleep and epsom salt baths every night. I also have one night out a month with a teacher friend when we don’t talk about anything school related. We both live in the area where we teach so we make sure we get away from home!” – Cara B. 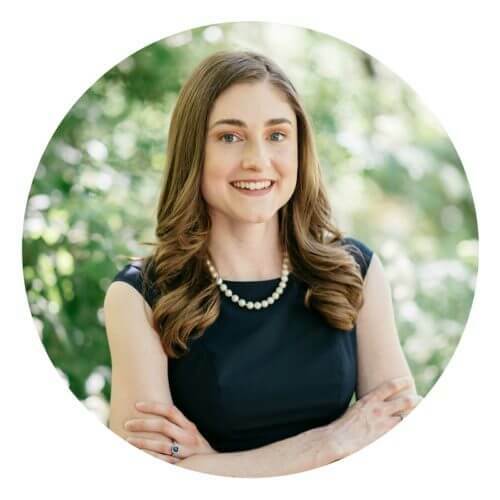 “Going to bed at a decent time so that I can get about 8 hours of sleep.” – Emily N.
“I know it’s hard, but I don’t physically take work home (not taking it home mentally is near impossible). I need that separation between home life and work life!” – Stephanie P.
“I schedule a massage every 4-6 weeks to relieve all the tension. And my health benefits cover it so it’s even better!” – Helaina Z. “Scheduled fitness classes with a teacher friend! We keep each other motivated! I also play ball hockey on a co-ed team with my husband.” – Maeghan L.
Do you have any additional tips to add? Please leave a comment below. I’d love to hear from you! ← Supercharge Your Reading Workshop with Flexible Shared Reading Lessons!